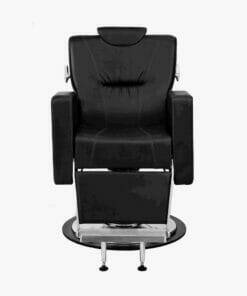 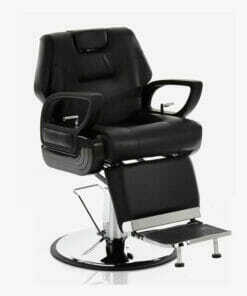 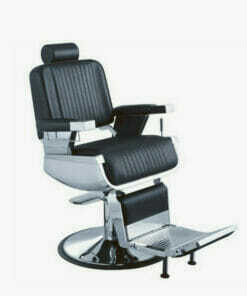 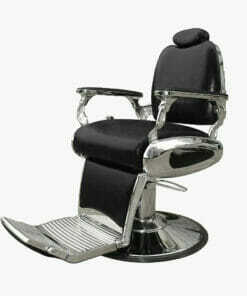 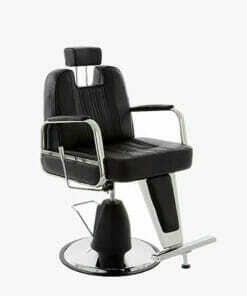 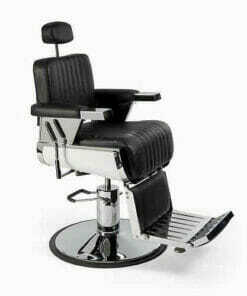 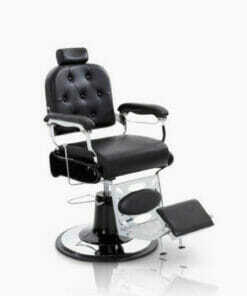 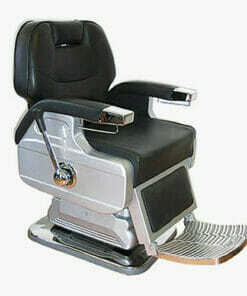 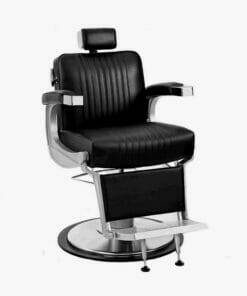 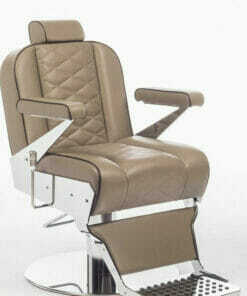 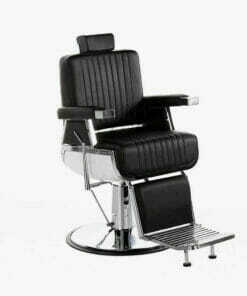 Modern, square shaped barbers chair with a large, heavy duty, locking hydraulic base. 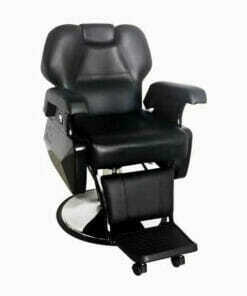 Offering fantastic stability and support. 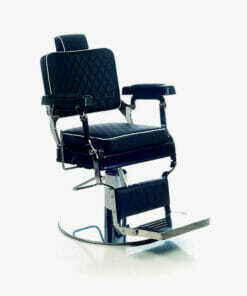 The WBX Barbarella Barbers chair is both practical and stylish. 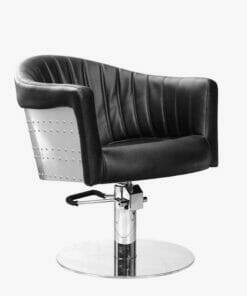 Upholstered in a hard wearing black fabric with white stitching. 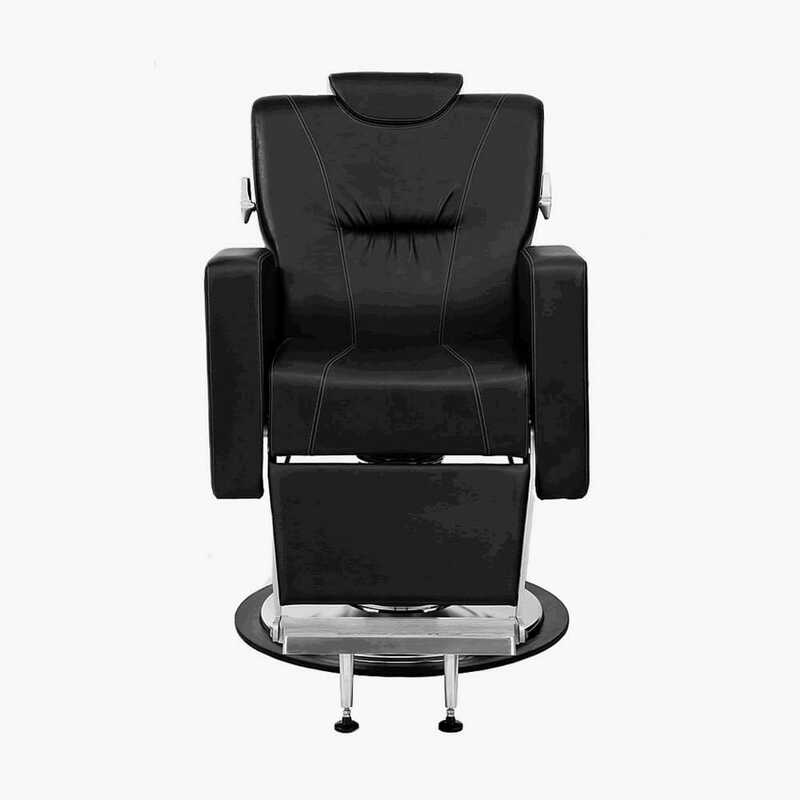 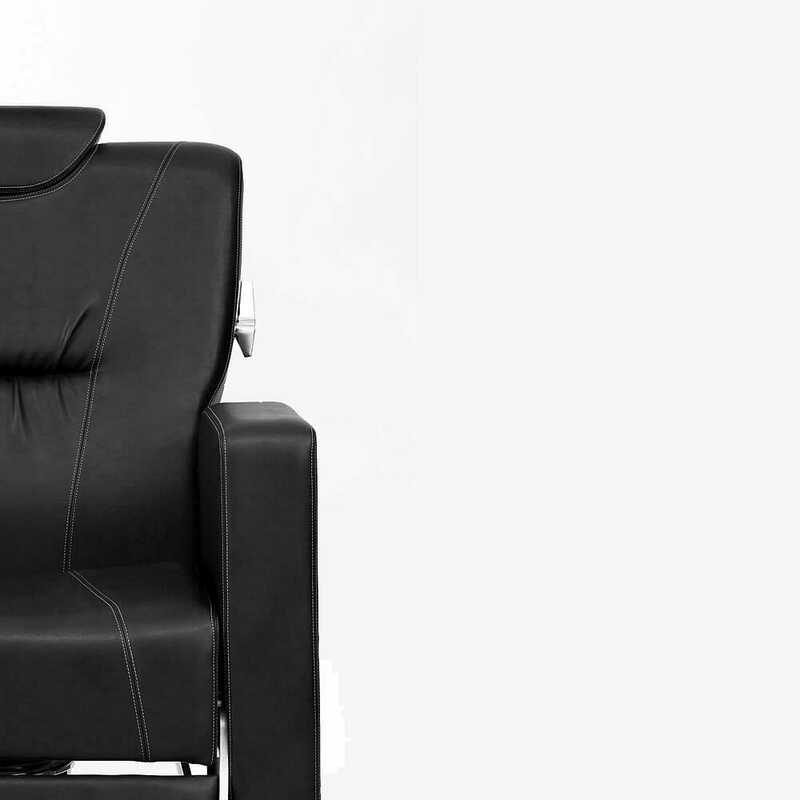 Featuring an adjustable and removable head rest, reclining back and rising large leg rest. 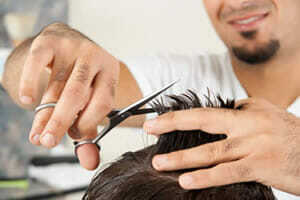 Great for client comfort and ideal for both modern and contemporary barber shops alike. 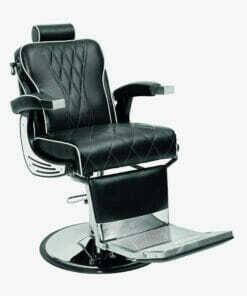 Please ring 01270 630280 for delivery dates. 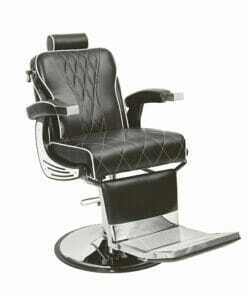 Dimensions: Width 700mm. 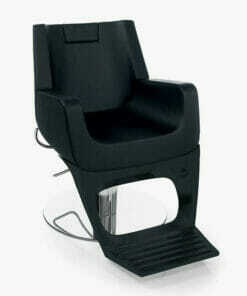 Seat height 540mm to 730mm. Overall chair height (including head rests) 1075mm to 1265mm. 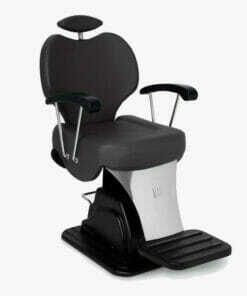 Overall depth 1050mm. 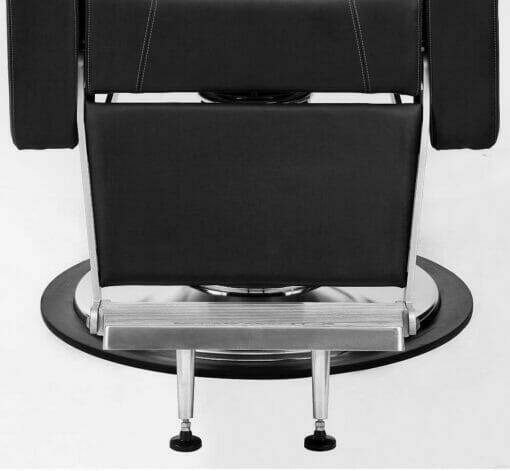 Overall depth when relined 1540mm (including footrest).